While it might not seem like the most pressing issue to most people, up until December 31st, citizens of Oklahoma City were involved in a heated discussion about whether or not people would be allowed to own and raise chickens on their property. Though the bill was struck down, it had garnered quite a bit of support by many locals looking to live the ever more popular organic lifestyle, including even the recently in the spotlight Councilman, Ed Shadid. To help the average citizen understand just what exactly the bill entails, an FAQ was released that addresses most of the questions at the forefront of people’s minds about what the bill passing would mean for the city. One of the main concerns was that the chickens would become an unwanted noise problem (think roosters crowing at dawn all throughout the city). The bill addresses this issue by specifying that the only types of chickens that would be allowed within city limits would be hens, excluding the more boisterous roosters of weathervane fame. Another concern was that the amount of waste produced by these chickens would become unsanitary and create an unwelcome smell. 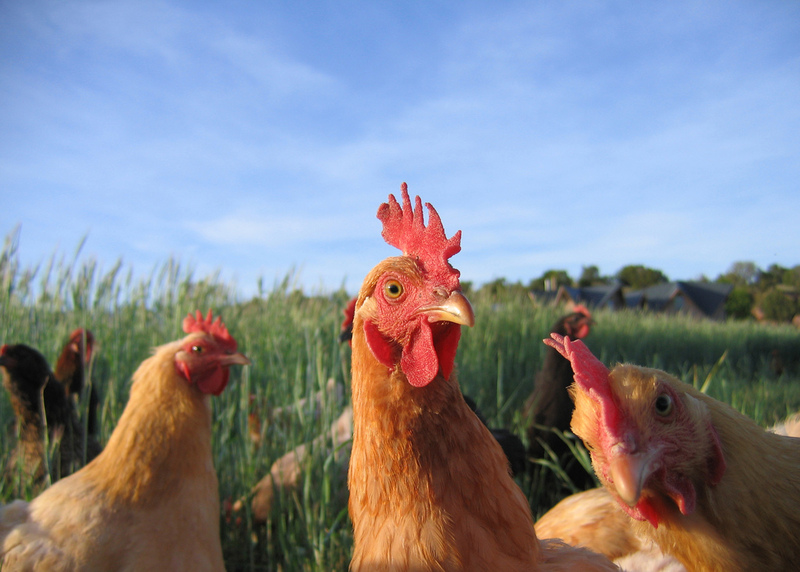 The bill provides for this by saying that lots less than one acre would be limited to housing six chickens. To put that into perspective, that’s about the same amount of waste that two dogs on average would produce per day. While these concerns are definitely nothing to scoff at, supporters of the bill would argue that the benefits far outweigh its perceived inconveniences. One such supporter is Emily Fite, mother of two and resident of south Oklahoma City. Emily lives in a community that strives to live simply, growing as much produce as they can on their own, and is conscious of the harmful effects that things like GMOs have on a person’s health. At this point, there are no bills on the horizon to challenge the city ordinances preventing people from raising chickens. But one thing is certain: this is an issue that people care about, and the controversy is not likely to die out any time soon.